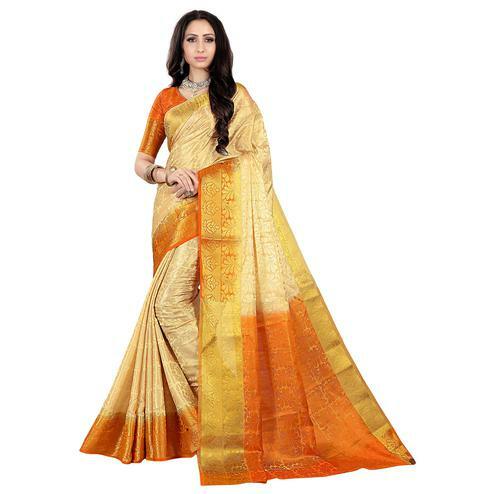 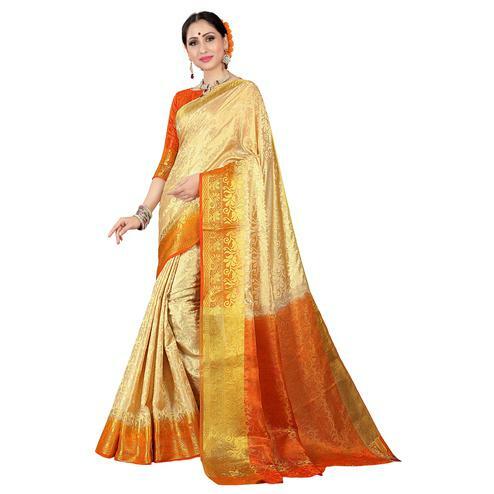 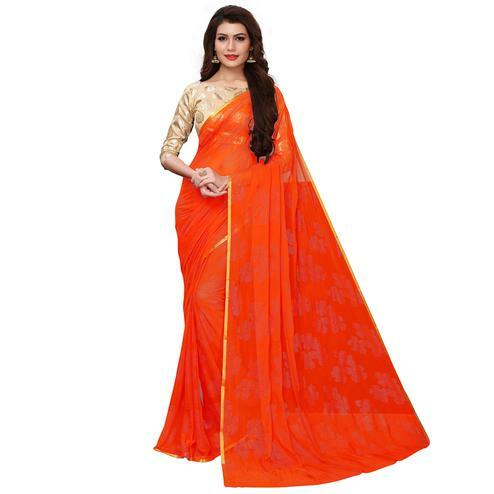 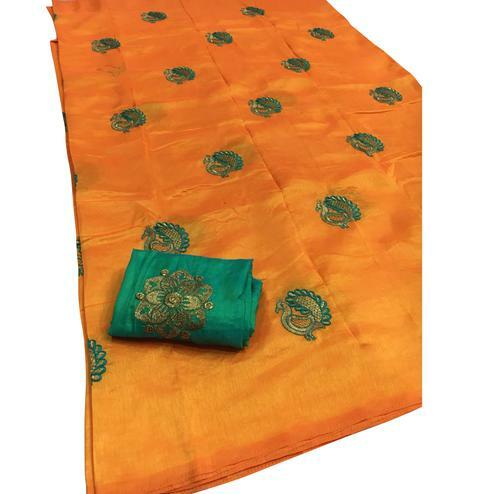 This orange color saree designed using geogette fabric is prettified with multicolored floral print and geometrical design border as shown. 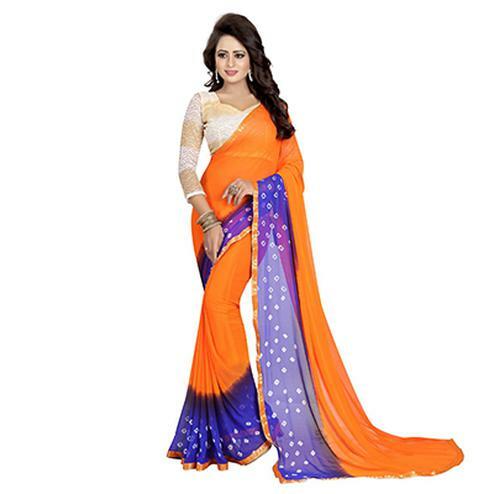 This lightweight and easy to maintain saree comes along with printed georgette fabric blouse. 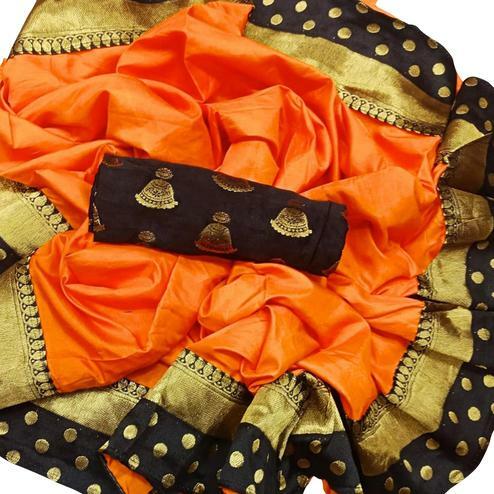 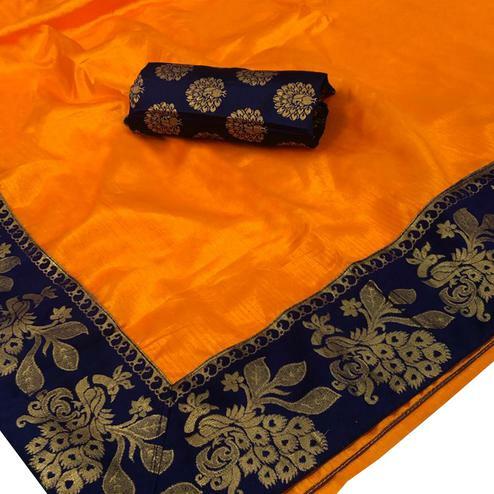 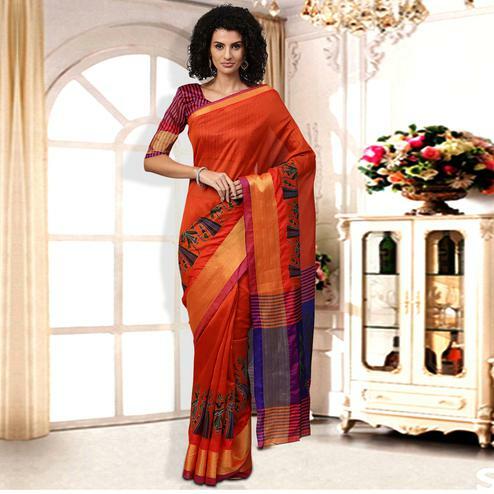 It's a perfect saree to wear for casual and regular wear.